The recent discovery made by science through the “Genome Project” was that the 90% of our DNA that was labeled “junk DNA” (which simply means they have no idea what it’s for) is actually a form of cosmic computer that acts as a receiver and transducer for energetic information, and as an incredible means of storing and metabolizing memory of various sorts. It contains the memory of not only the entire family history of the genome in terms of physical characteristics, but also the memory that forms personality traits, natural tendencies, and as an accurate recording of ancestral experiences that were emotionally intense in nature. Along with this it also contains the memory of the higher (human) soul that’s bonded to the body, which is of a similar nature to the memory of the body itself. 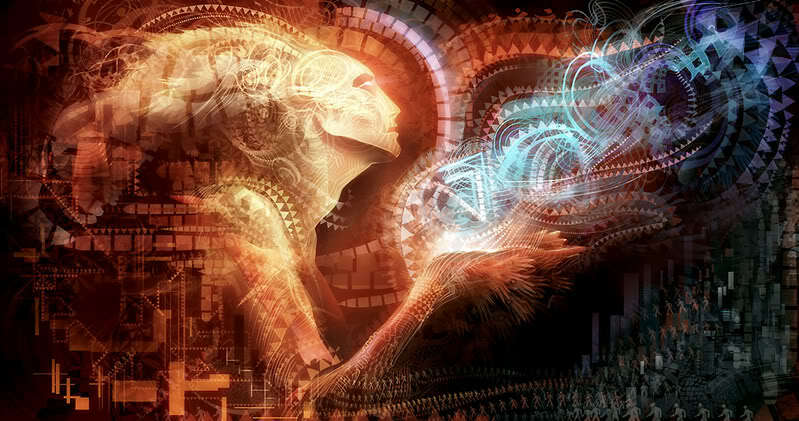 Through a dynamic combination of genetic memory and soul memory a constant transformation of consciousness is taking place by how they act together to create current experiences out of a dynamic matrix of mental filters of the past. What we call our mental paradigm is formed from the dynamic interaction that takes place between multiple levels of memory that are integrated into a cohesive whole that forms the information structure of the current mind as a model and perceptual lens that’s used to process information and create how we experience the events of our life to produce new memory that’s of a similar yet varied nature. Just as we use the memory of our (current) past as the perceptual filter and means of interpreting the present to mean the same thing, we use the accumulated and integrated memory of our genetic bloodline and higher soul to produce our initial personality which forms the foundation for creating ourselves through an evolutionary process that acts in much the same way instinct does. Our DNA operates according to the same principles as the mind and soul, and though we are created in the physical sense according to a generic template of active information that gives us our characteristics, predisposition, and tendencies as a form of foundation, we are constantly re-informing our DNA through how we create our life experiences, producing memories. We know that DNA works by way of the same principles that govern both linguistics and Meaning. 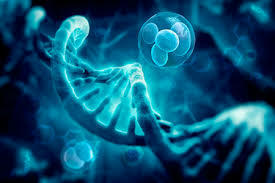 DNA is programmed (informed) by the same principles as the conscious, self-conscious, and subconscious mind. The spoken word forms an image in the imagination of what the word means. All reality is called forth in the imagination through words as language that has meaning. Hypnosis and suggestion, which are the natural means for programming the subconscious, works by whatever words we hear, we imagine as a material reality or form. We create the reality of the suggestion as an internal representation that becomes the means for perceiving the same idea outwardly and for producing the physical equivalent as our biological nature. 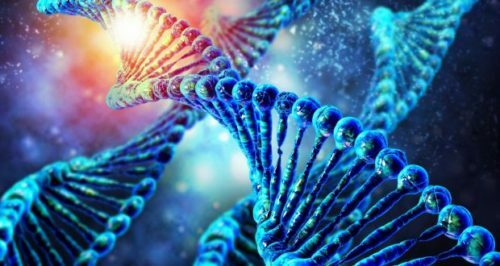 DNA is of the same nature as the subconscious and is programmed or given direction and instruction by the conscious (higher) and self-conscious mind as words that are spoken, both inwardly as thought and outwardly as speech. Whatever we think acts as a suggestion to our subconscious, and is actualized first as an imagined reality, that then provides the perceptual filter and lens for perceiving the same idea outwardly. The subconscious is what we call “experiential” in nature, meaning it’s programmed with ideas that are imagined as an internal experience of them, and is emotionally driven, where the emotional reaction as the equivalent of the imagined idea becomes the motivational force for producing action based on the idea. All behavior, in the ultimate sense, is emotionally driven as an impulse of some kind. The subconscious is the aspect of the mind we share with the plant and animal kingdom (living beings), and is primarily instinctual in nature. It experiences an emotion or feeling intuitively, and it produces an impulse, desire, or emotional reaction of some sort that sets into motion automatic behaviors as dynamics of some sort based on its relationship to the whole or environment it lives in. Our subconscious mind, being a part of the subconscious of all of Nature and the outer reality of which we are a part, is always engaged in a form of energetic exchange as intuition with everything around it. There’s always a natural form of telepathy going on as realizations that come as feelings, notions, hunches, and mental impressions as a way of “knowing” about something without knowing “why” or “how” you know about it. This feeling of knowing always comes as awareness of the inner nature of something and the bigger picture of which it’s a part as a form of “sub-reality”. We’re always exchanging information with everything around us, and morphing and transforming through the integration and assimilation of information to be of the “same nature” as the environment and conditions in which we live and survive as a natural form of evolution. In every moment we’re acting as a transmitter and receiver for information and ideas embedded in and being transmitted through the atmosphere in which we’re submerged in and depend on for life. As we breathe in the invisible air around us, we’re simultaneously absorbing and integrating billions of pieces of information that’s inherent in the field as the collective unconscious. Every living entity is comprised of DNA as a formulation of specific types of information as memory relative to their species, and is constantly exchanging information and interacting with that same type of information in everything around it. As DNA and the subconscious exchange information with whatever is of a similar nature, it’s reprogrammed and modified through the incorporation of new information as ideas. As we receive and think about ideas, we are literally becoming “one with them” energetically. As we form them into internal representations we adapt and integrate the information into our mental paradigm, modifying it as a result. We’re always resonating with what’s of a similar nature to us and acting to attract, absorb into us and become one with that information, evolving us to be “like it”. Whatever or whomever we live in close proximity of and direct relationship with, we become like in nature. We’re always energetically engaged and being formed through a form of group consciousness of our species, and form a herd mentality as instinctual and trained behaviors driven by emotional reactions. Whatever we’ve been conditioned with, we tend to live out of and repeat throughout our life. Whatever beliefs we form through what we’ve been told (heard and imagined as real) and taught, programs us mentally, emotionally, and physically to perceive, form relationship with, and produce the reality of our belief. Our beliefs, as thoughts that are imagined as an experience of reality, literally program our DNA and we become the physical expression of our beliefs as an actual reality. This fact has been firmly demonstrated in what’s called the “placebo effect”, where we literally modify our biological chemistry and physical condition using only our mind to “inform and direct” our DNA. Not only has this been demonstrated in fake medications of various sorts, but also in meaningless treatments, and placebo surgeries, where the person produced the physical condition they were told it would produce. As we think, emote, and form a belief about something as an outcome, we literally produce the physical reality of that belief. This is the power our mind has in directing the chemical processes of our body, creating our self, and our experience of reality. As we feel, think, and form emotional reactions to our thoughts by imagining them as a reality, similar to replaying a memory, we’re literally giving our subconscious and DNA instructions on what outer reality to perceive and form a relationship with. Our perceptions, formed by our subconscious mind in response to our conscious mind as internal dialogue turned into a material reality, informs our DNA, which forms a further translation based on the meaning of our perceptions, and uses the upgraded information to regenerate the body. If we believe we’re going to get a disease, for example, and form a strong emotional reaction due to imagining the reality of it in vivid terms repetitively, and we anticipate or expect it, we’re literally instructing our biological system to produce it as a reality and give us the experience it offers. It’s been stated that thoughts have to be coupled with or delivered with the right “frequency” in order to take hold. What this means in practical terms that don’t require an electronic device or laser light, is with the proper state of mind. Whatever state we’re in determines what frequency we’re vibrating at and whether or not our mind and DNA is in a passive and receptive mode, or an active and transmitting mode. When we’re in a relaxed calm state we become receptive in nature, and our subconscious readily takes in any suggestion as an idea that it’s given, and acts to give us new information and ideas to create out of. Our DNA is programmed in exactly the same way, when we enter into a state of trance, meditation, or hypnosis, then feed our subconscious ideas and affirmations, it readily takes them in without resistance, allowing them to rise up in the imagination and develops them into a well-defined sensory reality by thinking about them. When we form ideas in our mind as possible realities, we form an emotional response to them that imbues them with meaning and turns them into a form of internal experience as a virtual memory. All ideas and instructions for creating are given to the subconscious and DNA as an experience that mimics an actual memory. Living chromosomes function like a holographic computer using endogenous DNA laser radiation as frequencies that modify structured and stable formulas of information, transforming them through the integration of new information, producing analogous material forms. 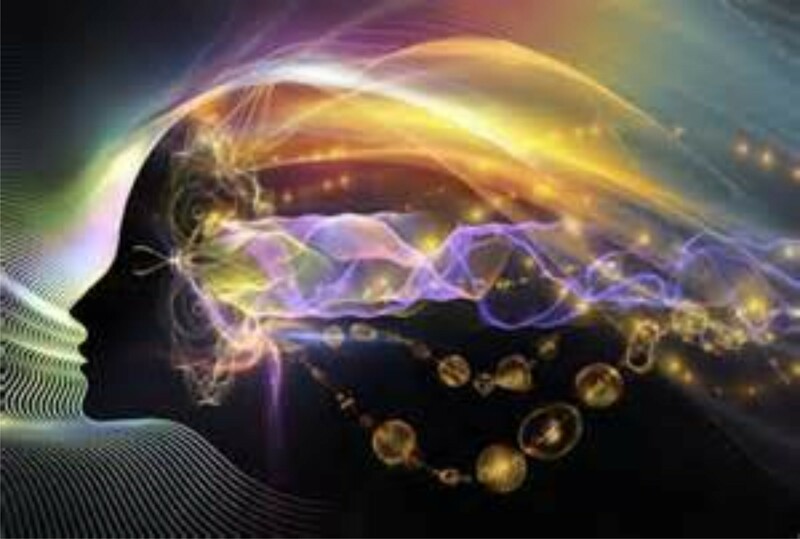 DNA is informed and transformed through frequencies as states of mind, language patterns, and the meaning the language patterns have for the individual, and what they picture in their mind as a result. Language as vibration contains both sound and visual properties. As a word or sentence is spoken, it simultaneously produces a mental impression of the form or reality inherent in it. All reality in this sense is “called forth and shaped” through the spoken word. Only when in a relaxed state do we readily “take in” and think about ideas as they’re given to us without using discretion. When we’re in an active state, we have constant thoughts running through our mind in a compulsive and sporadic fashion, and usually can’t concentrate on any single idea for any real length of time. The self-conscious mind acts as the “gatekeeper” to the subconscious, and decides what to “let in” and what to “keep out”. If it rejects an idea, or has resistance to it in some fashion, the idea is never allowed to take hold, and merely acts to reinforce the opposing idea that caused it to be rejected. Only the ideas that have a strong emotion married to them tend to be accepted, concentrated on, and thought about in a repetitive and continuous manner. These ideas, like memories, become a part of our normal thoughts and become the patterns and programming for our essential nature and constitution and form the perceptual lens we look through to experience those same types of ideas outside of us. We’re constantly transforming ideas through a process of adaptation that modifies them to be congruent with our current model, forming and maintaining a state of equilibrium between us and everything in our immediate surroundings at the subconscious level. 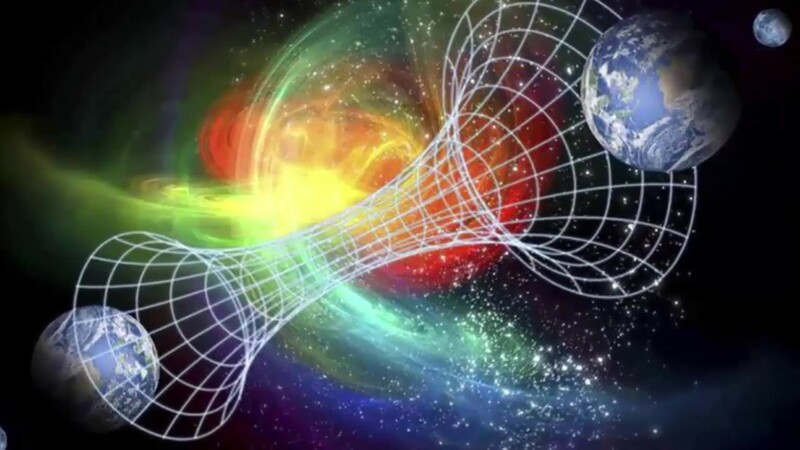 The idea of DNA being able to create wormholes in space, where information “located” in different parts of space can be accessed instantly, like the idea of “transmitting and communicating”, may be an incorrect way of viewing the phenomena of entanglement and the wave properties of matter, because it still involves “space-time”, and indicates a transmission is taking place as movement from one place to another. Yet we know that when two particles are energetically of the same nature as a frequency, that they literally function “as one” no matter how great the distance between them. If you change the “state” of one particle (DNA) through conscious intention to “measure its properties”, the other one changes at exactly the same instant. There is no time lapse or momentary hesitation, which would be the case if time and travel were involved. The particle, which is ultimately composed of light as photons, which are invisible and have no mass, exists simultaneously as a wave and a particle, as local and nonlocal, and can appear to exist in two places at once. The cellular structure of our body, which contains DNA as its “brain” and appears to be composed of trillions of cells, is actually “one cell” that replicates and regenerates itself trillions of times to produce the illusion of separate cells. So the cellular structure of the body, like the DNA that informs and instructs its production, is actually “singular in nature” and functions systematically as a whole conscious unit. Information is received not by one cell or area of the body, but by every cell of the body simultaneously. Likewise, information is being subliminally transmitted to all other forms of DNA in the immediate environment that’s of a congruent nature, informing and modifying it in the same manner. What’s referred to as hyper-communication, intuition, telepathy, and instinct, comes about naturally based on what frequency we’re “tuned into” as a state of mind. Whatever state we maintain in a consistent manner determines what aspect of a joint-reality we perceive and participate in co-creating. We act best as a receiver when we’re in a relaxed, calm, and unemotional state. Our subconscious and DNA are always in a passive and receptive state and receive the information produced by willful activity of any sort. It doesn’t have a will of its own, and simply creates by repeating thoughts as memories, adapting them to new situations producing variations of the same idea. 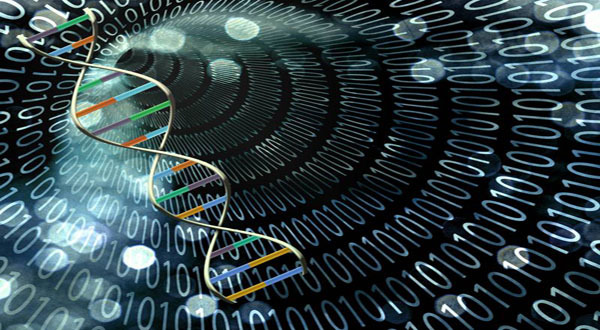 When information is received by DNA, it’s received by all the DNA of the entire body at once. The DNA, though it exists as the nucleus of every cell in our body, all of which are specialized in some manner, operates as a single entity or as a wave-function. A common mistake we make in forming a model of the mind, self, and soul (which are the same thing), is that we imagine it’s a formed, fixed, and stable idea, much like the body itself and the material reality it’s a part of, when in fact it’s in a constant state of transformation and evolution and is never comprised of exactly the same information from one moment to the next based on what it’s connecting with, absorbing and assimilating, and how it’s modified accordingly. What type of information we’re capable of absorbing is based on resonance and sympathetic induction, and is of the same (type and species) or congruent (complementary) nature and vibratory state as we are. We can only attract, merge into and become one with what’s easily integrated into our existing model in a way that makes sense and still produces a consistent version of reality. All normal growth and development comes in small gradual steps that produce constant modifications to our mental paradigm by moving us through a range of different vibratory frequencies as our state of mind and the perception that results from it. As our state and mental model changes, what we naturally tune into and act as a “vehicle for expression” changes also. All information as consciousness serves to inform and program our DNA and subconscious mind, providing it with instructions for producing a corresponding physical form on multiple scales and levels of reality at once. All matter displays both particle and wave properties, just as light does, because it’s essential nature is composed of light as photons. All information that’s a part of a being located in space and time, is also contained in the unified field that permeates all of Nature and the Universe as a whole. 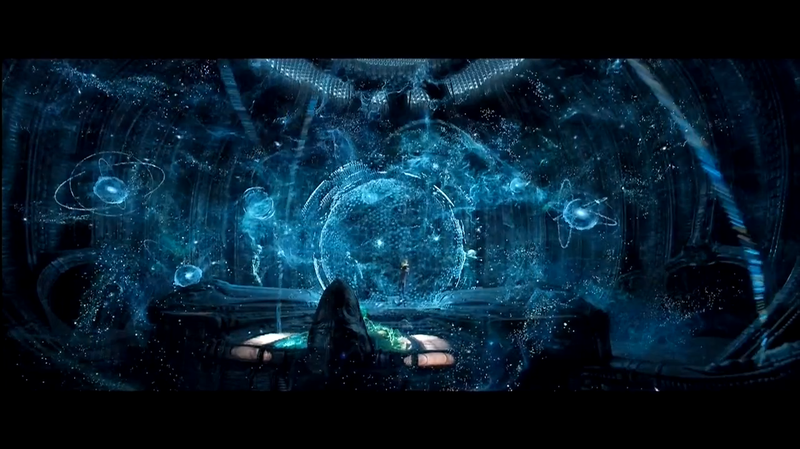 Our mind operates according to the holographic principle and produces fractal patterns as its offspring. This principle is demonstrated in Sacred Geometry by the Monad, which is represented as a dot within a greater outer sphere as the same shape on a greater scale and level. The mind of the individual (the dot) produces its outer perception of reality (sphere) as a correspondence, to be of the same nature. We are only capable of perceiving and creating more of what’s like us. We literally have within our control at all times the ability to transform ourselves to any means by learning how to regulate our mental and emotional state. Whatever state we exist in as a form of soul-mood, determines what we focus on, what meaning we give what we’re focused on by what we tell ourselves about it, and how we form an emotional reaction to our own thoughts. As we feel, think, emote, and act, we’re programming our subconscious with the reality of our imagined thoughts, altering our blood chemistry through our endocrine system, and producing the physical state and condition that matches and is equivalent to our thoughts. The mind and the soul operate as a wave that produces the material equivalent as an analogy, both in the body itself and the environment that’s a projection and reflection of . DNA emanates or produces a wave-form that’s a holographic, phantom-like structure of the potential inherent in the information as it’s currently formulated in the DNA. 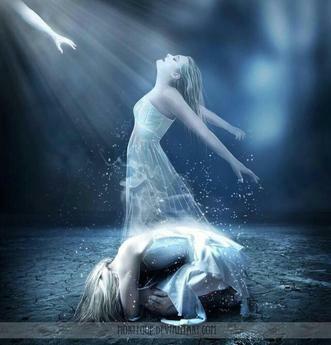 This phantom-like form as a spatial, 3-D model of the form inherent in it, is what has traditionally been referred to as the etheric double or astral body, which means “body of light” as a field or wave (ether). This not only becomes the blueprint for producing the physical form, but also the medium that acts as both a wave and particle, that can and is constantly adjusted and modified by the mind and whatever information it absorbs and integrates from the world around it. 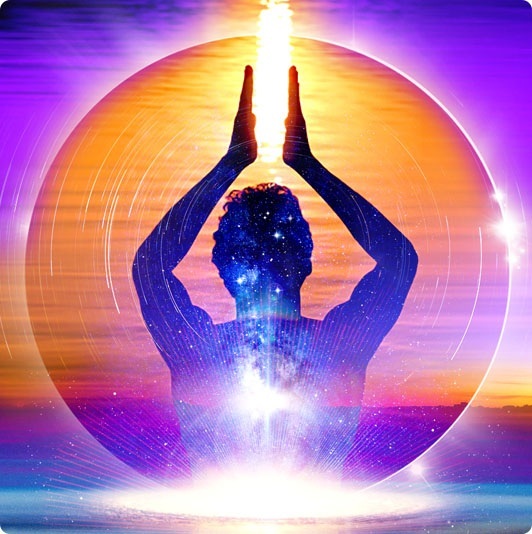 The etheric body is both a combination of mind and matter, energy and organized information as essence, and is the aspect of the self that we work intuitively with to produce natural and spontaneous transformations. 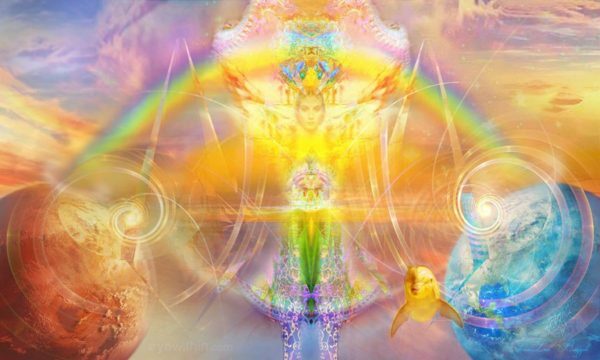 All physical changes first occur in the etheric body as the form inherent in DNA programming which is what regenerates the body and manifests new conditions. Any words that we hear around us by others or media of some form that has an emotional charge to them, which we take in, begin thinking about and form into a reality in our imagination, becomes a natural part of our thoughts. As we form it into a concept as an internal representation of the idea, we adapt it to our mental model, and it becomes a natural part of our memories. Whatever we form an internal representation of, we use to create a form of virtual memory as a hologram that acts to program both our subconscious and DNA. This is the most basic form of how we’re constantly being programmed by others, the media, society, and anything that we expose ourselves to, associate with, and participate in somehow. Whatever words we hear spoken, the emotion they’re spoken with, and the meaning they have, determine how we think about them. Anything we expose ourselves to while in a relaxed state, where we relinquish all resistance and need to discriminate, and take in willingly as fact or entertainment of some kind, and continue to feel and think about, literally becomes a part of us. Not only in thought and perception, but in “state” and the physical condition that’s the equivalent of that state. The most prevalent way we’re always being programmed and subliminally influenced, is through music, TV programs and commercials, news, reading, relationships, conversations, and so on, where we readily take on ideas that are emotionally compelling somehow, and not only think about them at the time, but continue to think about them afterwards. As we think about something and imagine it as an experience of reality, it becomes a natural part of our perception of reality. We integrate it into our perceptual model and filters, and can readily see that same idea in our day-to-day life. At the same time it affects us emotionally, changing our chemistry and physical state to match the state of our thoughts and we form ourselves to be of the same idea as a congruent reality. All ideas turned into an internal reality as a concept or representation, produce holographic (3-D) memory that acts as a creative template for our subconscious and DNA. 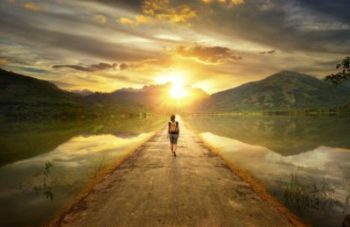 We provide the life producing part of us with the information we want it to use to create our inner state, physical condition, and outer reality. As we program ourselves we’re simultaneously transmitting that same information telepathically to the subconscious mind in everything else, and influencing the DNA of everything around us. We’re always acting energetically (mind and spirit) to become one with others and our environment. This is natural and automatic and always taking place at the subliminal level. Once we know this we can realize the importance of who we associate with, what we expose ourselves to, and what type of situations and environments we place ourselves in and live in. 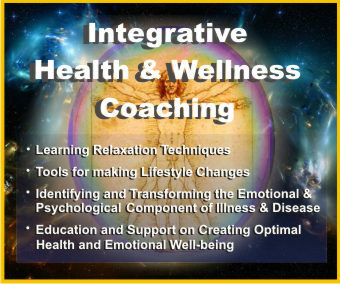 We can use it as a tool for creating in a more conscious and intentional manner. Whatever bloodline we’re a part of, we share the same physical genetics and memories associated with it from our ancestors. The DNA in blood acts as a storage for memory of any kind of emotionally intense and impactful experience. Just as our personal memories are created from experience of intense emotions that serve as a program for our subconscious and DNA, and can be readily recalled in any situation that’s of the same emotional nature, the memories of our ancestors programmed their DNA through the same principles, and are carried forward in their genetic line as intuition. We’re all programmed with the same memories as feelings and mental impressions that influence us subliminally and produce what become our natural tendencies. There’s a natural form of subconscious communication that takes place between us and immediate family members. 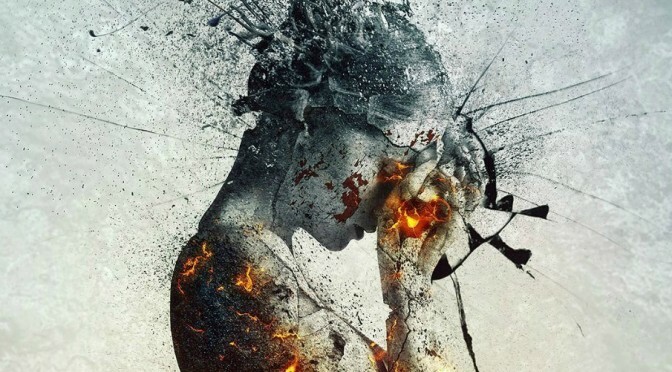 Not as actual memories that come as thoughts, but as feelings and consciousness that makes us prone to the same type of decisions, relationships, and dynamics through a form of connection and familiarity. These shared feelings and the mental impressions they bring come as a form of instinct that keeps us functioning out of the same model, dynamics, and impulses as the group mind or herd mentality, much like animals. This is because we have an animal, mammalian body that’s primarily operated through instinct. Tribal memory, where breeding is always within the same group, acts as a form of telepathy or hyper-communication as group consciousness that causes the whole tribe to function as a single unit. 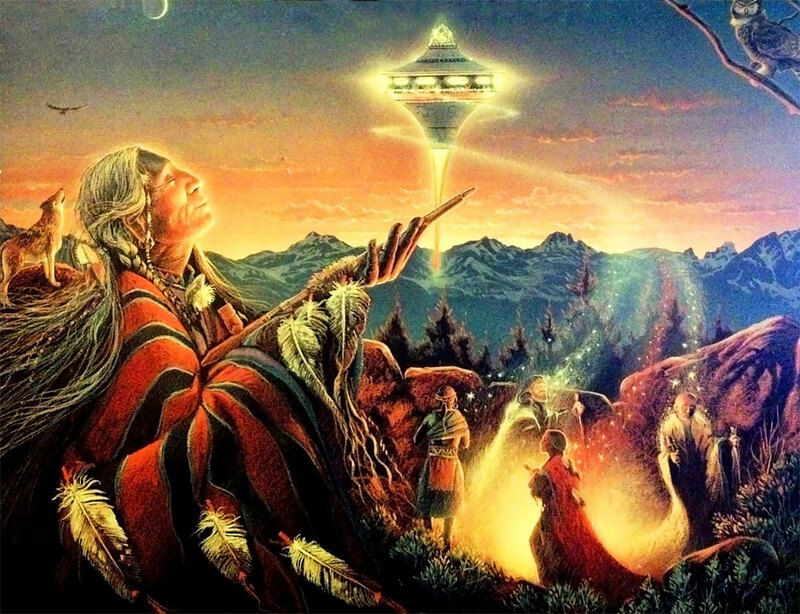 We can receive the wisdom of our ancestors through intuition as telepathic communication of tribal memory. This is why tribal members were not allowed to marry outside of the tribe, because mixing with other bloodlines meant the offspring would lose access to the wisdom of their ancestors and no longer function naturally as a cohesive part of the group mind. This same idea pertains to racial and religious memory, and interracial and interfaith marriages, which were considered taboo and strictly forbidden at one time. They were not due to prejudice, as we tend to imagine, but as a means of maintaining tribal memories as ancestral memory inherent in the bloodline of their shared DNA. 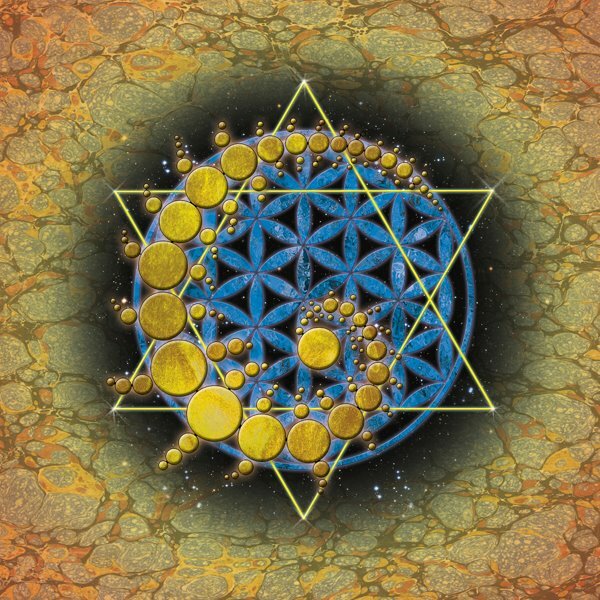 When intuitive communication is received from a higher source, that’s outside of the instinctual group mind of the material plane and humanity, it can also be observed as producing changes in the DNA, and comes as a form of supernatural phenomena. 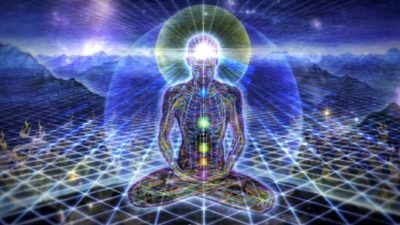 The integrated memory changes the etheric body emanated by the DNA as its electromagnetic field, now being referred to as the “phantom effect” or holographic image inherent in the DNA, and traditionally was called the “Holy Ghost”. This holographic image as a spatial model provides the instructions for organizing matter into a new form with new behaviors. These electromagnetic fields of organized information exist and operate outside of space and time, which means they don’t travel through space from one point to another as particles or local information interacting, but operate through wave-properties as being of the same nature or vibratory frequency. They operate through what’s now called “entanglement” where energy is exchanged instantly without a measurement of time as a slight hesitation. The same state as a frequency that organizes information into a biological form is contained within the exact same space as a parallel dimension. In earlier times humans were largely instinctual and operated as a group or single unit that lacked any real individuality. 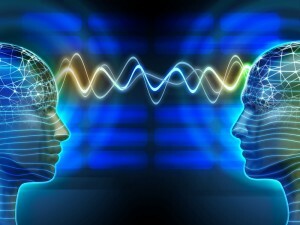 Communication in the most basic sense took place through a form of telepathy and shared DNA. Just as the DNA of our body works out of waves, where every strand of DNA in the nucleus of every cell receives information at exactly the same time, the DNA shared by tribal members who always breed with the same group and genetic pool, act in the same way (become entangled) and receive telepathic information all at the same time from a higher source as instinct. It wasn’t until tribal members began co-mingling with other tribes that instinct and hyper-communication between members and ancestral lines were lost, and true individuality was born. 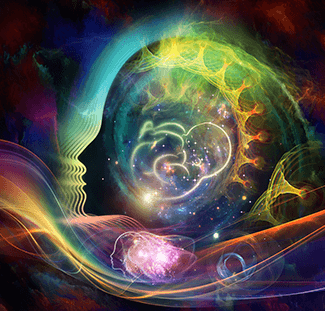 DNA and the subconscious mind form a dynamic, intrinsically interwoven network, where we can feed information as thought forms and memory into it, retrieve data from it, and connect with other participants within the same network. It’s through this dynamic network that telepathy, long distance healing, and remote sensing about the state of another takes place. This phenomena works off the same principles as entanglement, shared DNA, and resonance as an interaction between the same frequency and consciousness. As we tune into the idea of another and begin resonating at the same frequency, we form sympathy with them, and our subconscious mind as a field of information and medium for transmission, downloads information into their mind and DNA, modifying it to some degree through coherence. Information as consciousness has a self-organizing mechanism that restructures the etheric hologram as a spatial model being used to organize the regenerative processes of the molecular structure of the body. 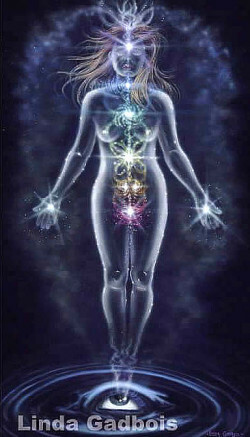 As we re-inform the subtle body, we simultaneously influence how the physical body regenerates at the cellular level. This is how spontaneous remission and miraculous healing takes place. 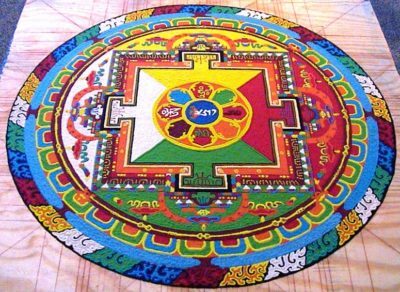 The most basic form of group mind that we’re all a part of as beings on Earth, is formed through the Earth’s resonant frequencies. The Earth’s frequency, also known as the Schumann frequencies, vibrates consistently at around 7.83 Hz., and this same frequency is produced in our brain and neurological system, and acts as a tuning device and receiver for information on that frequency, which is shared by all of humanity. 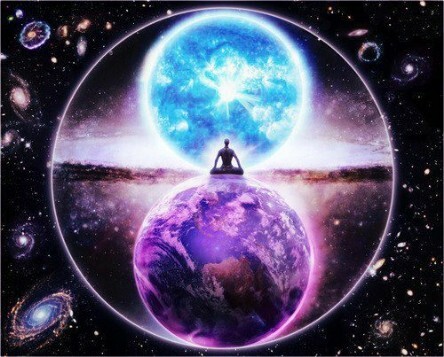 We’re all tuned to the same primary frequency which is why we also share a cohesive joint-reality that’s universal in nature and basically the same for everyone involved. When we exist in a primarily natural and unconscious state, unaware that we have the ability to regulate the frequency of our own brain and body, we spend our entire life comprised only of the organized information inherent in that frequency. If we take an attitude of expressing our individuality and growing our own consciousness through constant learning that expands our possibilities for creating reality, we move into higher frequencies. When we share information with others, we can begin forming a new group mind, which, as it grows gains momentum and can begin influencing the masses. 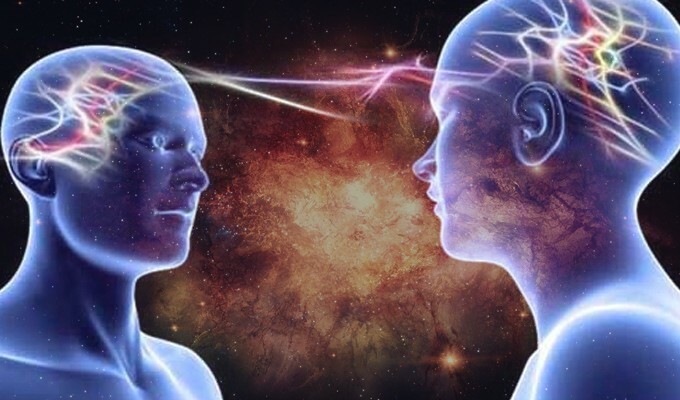 When many people synchronize their thoughts, as a group meditation or collaborative efforts, concentrating ideas in a laser-like fashion, we upload new information into the unified field of the Earth making it available to others and influence the mind of others through a form of energetic rapport. 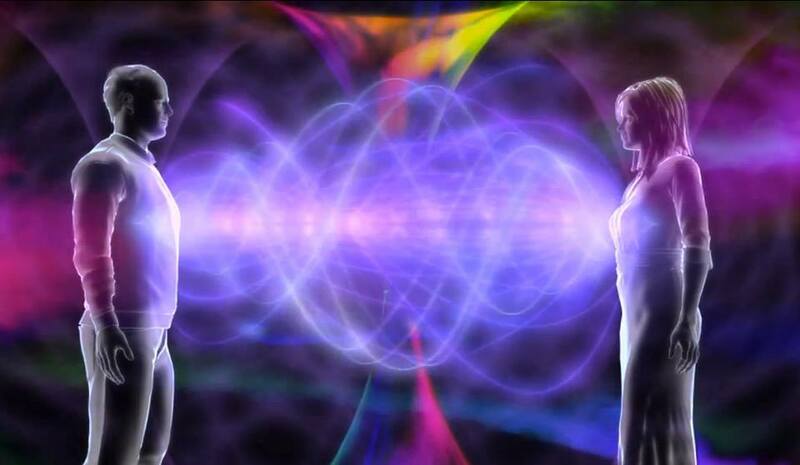 We alter mass consciousness through telepathic communication within the collective unconscious. All society as we know it develops as group consciousness. When a great number of people become unified in intention and thought, they produce a coherent and congruent outcome. While scientists still continue to develop theories for transmission of information outside of space and time through wormholes, which are a form of tunnel that connects parts of a unified field with other distant parts, the fact may be that there is no travel from one point to another, or actual communication taking place, but rather tuning into a unique frequency within the field that’s encoded and imprinted with different memory that produces a different experience of what appears to be reality. What we think of as a reality exists independent of us, may actually be produced by us as a mental construct or simulation. The mind itself, which exists as a field of information organized into a holographic construct or internal representation, operates to produce whatever “version” of reality as an outer perception of the frequency we tune ourselves to by what we focus on, think about, and form into a mental construct that acts to inform our subconscious and DNA, which is what acts to organize the same information as a correlating outer reality. The outer reality takes on the same symbolic appearance as our inner reality. Whatever frequency we tune our mind to, determines what pattern of information we experience as our personal reality, and how we produce our subtle body as a coherent aspect of that reality that produces the energetic model for cellular regeneration by encoding our DNA with the memory of that reality. Time, in the most basic sense only exists as memory. Part of the reason we often have trouble understanding how our mind acts to construct reality, is we tend to only think in terms of our individual, local mind, and we imagine reality to be fixed, solid, and a crystalized idea that appears the same for everyone. Yet, the fact is, the mind itself, which is a unified field of information that vibrates at a certain frequency, exists as a hologram and operates according to the holographic principle, where the same mind exists at multiple levels and different scales, across multiple dimensions. We have a personal, individual mind, a group mind, a cultural and racial mind, a world and global mind, and a universal mind, all of which play different functions and parts in creating what we experience as a unified reality. 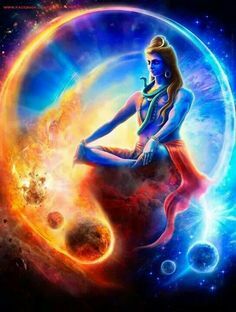 It’s only man who possesses higher consciousness and has the ability to create within the material world by using the higher capacities of his mind. 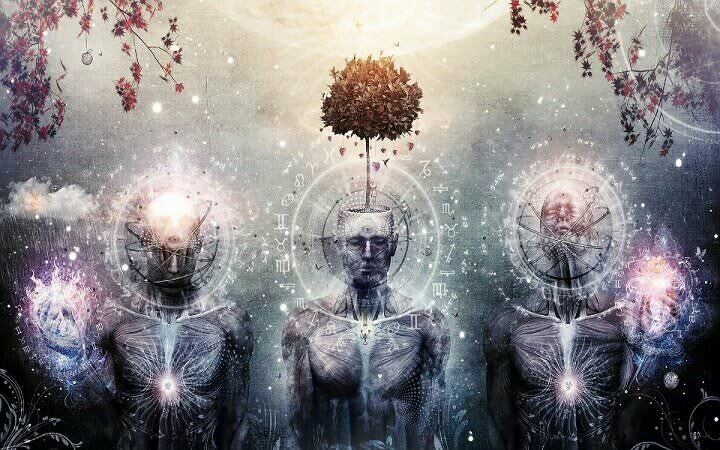 The mind is threefold in nature, and exists on three primary correlated dimensions simultaneously as being comprised of a higher or super conscious, a lower subconscious, and an individual self-conscious aspect. All of which are parts of the same overall mind and perform different functions in creating a unified whole as what appears to us as a cohesive reality. 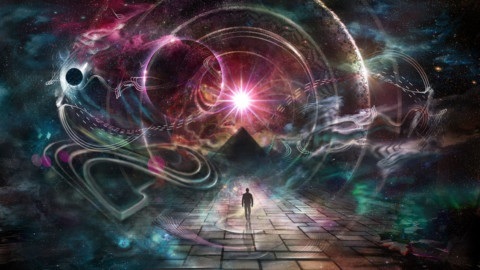 Our superconscious exists primarily on a higher plane, and is what acts to organize and orchestrate the entire lower plane as an overall life-story that plays out for the individual within a larger coherent group or more universal reality. The subconscious is the aspect that we share with all of Nature, and specifically with the animal kingdom. Our subconscious is the fundamental aspect of our physical, animal body, and exchanges information telepathically (intuitively) with the subconscious mind of everything around us, informing and influencing it to form an “appearance” that’s congruent with our nature and perception of reality. The self-conscious is the aspect most think of when we use the term “mind”, and is birthed by the subconscious in the body as brain consciousness that’s completely identified with the body and the personality of the body. Through our self-conscious mind we form self-awareness and experience ourselves in relationship with the outer world to produce an experience of ourselves as a specific, located and relative being, that plays a fundamental part in a larger group story, that plays a part in an even larger social, racial, or cultural story, that plays a part in the story of humanity. A major overall theme as planetary consciousness sets the stage for and gives rise to numerous smaller stories of the same theme played out in an infinite variety of unique ways. The mind and all of reality operate according to the holographic principle where smaller fields of the same primary information are nested within greater fields of the same overall idea. The parental pattern of humanity as a whole provides the basis and gives rise to an infinite number of fractal patterns as its offspring. Like DNA, it’s all comprised of the same basic information and its uniqueness as an individual is determined by what aspects of the same information is turned on or off, to what degree certain aspects are active and expressing, and what aspects remain dormant and unused as latent potential. 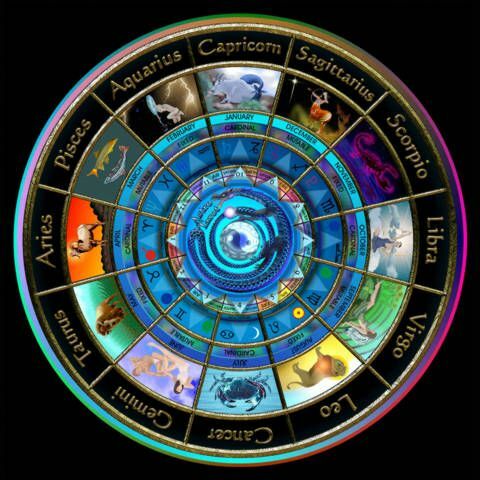 The formula for this idea is laid out in the zodiac, which is the shared archetypes as qualities of consciousness that produce distinct characteristics, personalities and identities, that act naturally to tell certain types of stories, and forms the basis for our individuality. We can actively modify and reformulate our basic nature by actively embodying different archetypes of the universal self in order to create new and varied experiences of ourselves. All transformation comes by way of integrating new information that evolves our basic consciousness. The outer world acts to stimulate aspects of our inner world, bringing them into an active and expressive state. As we’re stimulated with a feeling, it activates a force inside of us that forms a synchronized series of imagined realities as thoughts born out of modified memories. As we think about and imagine ideas, we give the subconscious the template and pathway for producing the behavior as an interaction between the inner and outer that produces an analogous outer reality as an experience of the inner reality. 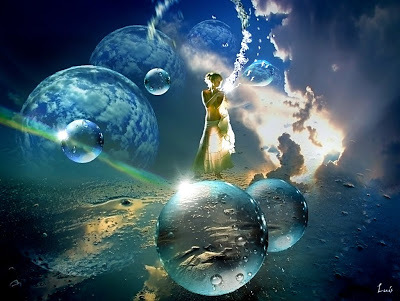 All of what we perceive as “reality” is produced by thought as feelings and internal dialogue that’s imagined as a physical reality or symbolic form, that provides a form of instructions for both the subconscious and DNA of the body and material world of which it actively forms. These mental instructions as a form of virtual memory serve as a metaphorical theme that literally in-forms and transform our material existence as our body and outer reality that our body exists as a part of.